Lee Wiley was born October 9, 1908, in Fort Gibson, Oklahoma. While still in grade school, she aspired to be a singer. Into her teens, she would seek out recordings by Bessie Smith, Clara Smith, and Ethel Waters, often venturing into shops in black neighborhoods to hear them. She managed to find employment on a Tulsa radio station in the earliest days of the medium, performing on the air after school. Then, at age fifteen, she “just ran away” from home. Wiley set on a career course through the Midwest to the East, veering through St. Louis and Chicago before finally landing in New York. Along the way, she suffered an accident while riding on horseback that left her temporarily blinded, an incident that was recounted in a 1963 teleplay about her life. 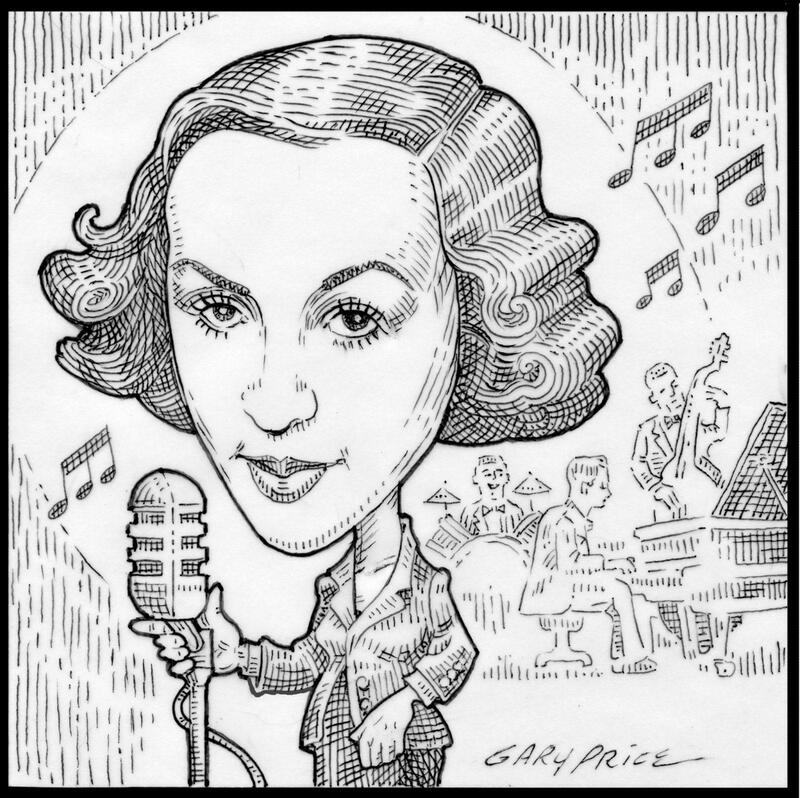 Once in the Apple, she impressed bandleader Leo Reisman enough to land a spot singing with his orchestra on his radio program. Lee Wiley’s sultry contralto, tinged with the hint of a Southern accent, proved wildly popular with listeners. She recorded with Reisman, the Casa Loma Orchestra, and, most notably, Victor Young, but few of her early recordings were released at the time. Those initial test pressings have since been issued on CD, but the work for which she is known and remembered was a series of “songbook” albums, each concentrating on a particular composer. The first album set, from 1939, focused on the songs of George Gershwin and was released on the Liberty Music Shop label. Gary Price graduated from the Art Institute of Boston, majoring in Illustration. He worked as the Art Director/Creative Director in the Boston area where his clients including Converse Sneaker, The Boston Museum of Science, Fleet Bank and WHDH Radio. He founded Price Design in 1976. It continues to serve local and national clients. He has done work for the national children’s magazines Humpty Dumpty, Young World, and Children’s Digest. Gary looks up to the work of Maxfied Parrish & Norman Rockwell .